AUBI was founded in 1974. Since that time, we have become a leader in the design and building of stud wall, post frame, pre-engineered steel buildings, conventional steel buildings, and block buildings, while gaining a reputation for quality and cost efficiencies. 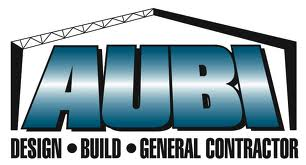 AUBI is a company that firmly believes in the future of construction through innovation, internal health and safety teams, virtual reality design solutions and overall new construction techniques and processes. By implementing new ideals into our process of building we can help to guarantee complete satisfaction on every project. Having won industry recognized awards for the excellence in the of pre-engineered structures for the factory and manufacturing plants we continue to add our sectors of construction to our portfolio including long term care facilities and project management. As a member of the Canada Green Building Council we are now involved with the LEED initiative to build green.